Due to viewers time restriction and demand a maximum of 3 properties can be booked in at any one time. Virtual Tour of a house! If you want a job doing properly…. Investment properties – deal or no deal? Do I need a license for renting out a house? Yes. Liverpool City Council has introduced licensing for all properties from April 2015. We can assist with the compliance and administration required for licensing, including the full application process. To advertise your property we will need confirmation (if tenanted) that you have applied for the license. We will apply for licensing on behalf of all owners for fully managed properties, unless we agree with you not to. We would require confirmation that you have applied for the license in that case. What certificates do I require for renting out a house? For student properties we also undertake a Fire Risk Assessment at point of instruction. This is a legal requirement under the Regulatory Reform (Fire Safety) Order 2006 and the Housing Act 2004 - we undertake Fire Risk Assessments to ensure your property meets the legal requirements. Do I require permission to rent my property out? lessor prior to letting. If the property is subject to a mortgage you must obtain the consent of your lender prior to any letting. and it is your responsibility to notify us of any particular requirements your mortgage company may have. including buildings and contents cover (where applicable). Any insurance should also include an element of Public Liability cover. Yes. You will need to notify HMRC that you are earning money from rental properties and file a tax return reporting your income. If you are based overseas (eg, you do not live in the UK) you will have to have tax deducted at source (eg by us) or apply for an exemption under the HMRC Non Residents Landlords Scheme. Details are available online. We are registered with the ICO, registration number Z1712743. As part of carrying out our duties, we need to process personal data. For the majority of these uses we need use the Legitimate Interest reason. We may pass your data to the following people using the legitimate interest basis. This is to allow us to assess your suitability for a tenancy. • Agencies conducting Right to Rent checks. At the application stage we require you to agree to our use of data for this legitimate interest. Retention period for data captured during tenancy signups will be for 12 months from point of application if the application is not successful. Your data will be used for your tenancy if your application is successful and will be kept for up to 10 years to allow up to comply with our legal requirements. Once you are an active tenant we will use your data under the legitimate interest basis which you will have granted consent for at application stage. This consent will be used going forward for the duration of the tenancy. • Passing of data to third parties such as credit reference agencies, previous landlords, etc. • Passing of data to contractors for arranging works. • Passing of data to the local authority to enable you to be correctly charged for council tax (and for student tenancies, to have an exemption applies). • Use of data for marketing for houses from us. • Passing of data to third parties so they can contact you to set up a broadband account (for non-inclusive houses). • Passing of data to relevant agencies to allow the continual approval for right to rent. Retention of data for tenancies will be up to 10 years. This is to allow us to respond to post tenancy queries and to allow us to fulfil our legal obligations. • Processing data to enable us to market and let your property. • Processing data to enable us to effectively manage your property. • Passing of data to third parties in the execution of our services, including local authorities, utility companies etc. We will NEVER share personal data with external companies for marketing services to you unrelated to your tenancy. We may market services to you via mail providers such as MailChimp. For tenants this will in most cases be to offer houses to re-let or for new houses coming to market when your tenancy ends. For landlords it may be to keep you updated about our services. You can unsubscribe from this mailing list at any time however if you receive such marketing without an unsubscribe option you can contact us directly to be removed from our list. For these reasons we require your consent. In the majority of cases we will use the email contact provided when you registered online to view a property. If you were not asked for consent at that stage, or did not select to grant consent when asked, we will not use your information for marketing. If you have applied to be a guarantor we will use the legitimate interest basis to manage your data. which you will have granted consent for at application stage. This consent will be used going forward for the duration of the tenancy you are acting as a guarantor for and for as long as your obligation as guarantor remains. • Passing of data to credit reference agencies. • Passing of data to third parties for debt collection if such need arises. We will never use this data to market to you. We retain data for as long as necessary to carry out our duties. Tenancy Agreements and guarantor deeds will normally be kept for up to six years after your tenancy ends. Information about you may be kept for up to 10 years. Ancillary documents will be deleted and destroyed when no longer required and will vary depending on document type and use. Our disclaimer is hosted online to allow emails to be shorter, saving on paper if printed. Emails sent from Topproperty Services and the information they contain may be privileged and/or confidential. It is for the intended addressee(s) only. The unauthorised use, disclosure or copying emails, or any information they contain, is prohibited and could, in certain circumstances, be a criminal offence. If you are not the intended recipient please email info@topproperty-services.com or reply to the email immediately. Internet Communications are not secure and therefore Topproperty Services does not communicate formally by email and does not accept legal liability for the contents of this message. Cookies may also be used to allow us to better track visitors to identify traffic sources (where you found us) as well as website visitor numbers and locations. Topproperty Services are a full service student and residential managing agency. We manage a large portfolio of property across Merseyside. We were started by two property investors - Simon Topple and Gillian Saunders - in 2006 and have built a team of skilled members of staff with a wide range of experience in managing student and family homes. We remain committed to the ever changing student market and continually invest in bringing fresh ideas to our business. This helps us lead the way in the way we operate in a rapidly changing marketplace. Topproperty Services are open Monday to Friday, 10am to 5pm. We also have an online chat facility that is open subject to availability. We believe in providing the BEST SERVICE POSSIBLE in managing property. The services are tailored depending on which market your property is for. These services are outlined below. All student properties are registered with Liverpool Student Homes, as well as Liverpool Councils CITYWIDE LANDLORD ACCREDITIATION SCHEME (CLASS). The LSH registration allows us to utilise advertising within the student body, and supporting LSH in this way is key to our continued success. Additionally, we are corporate members of the Residential Landlords Association, as well as belong to the TPOS – The Property Ombudsman Scheme. If you have reason to make a complaint we agree to be bound to the terms of TPOS. Additionally, the owners of Topproperty Services are active in promoting the best interests of Liverpool Landlords, including membership of the Landlords Advisory Panel for Liverpool City Council. When to buy is a key question, however we recommend purchasing a property with a fully renovated hand over date around January/February. We can carry out viewings and let properties that are undergoing refurbishment – subject to a site health and safety inspection and approval from the responsible contractor on site – however the later you leave the refurbishment the more difficult a let gets. We therefore recommend that any properties purchased and refurbished are handed over in a “ready” state at the end of May at the absolute latest. The where is the harder question but the key areas for letting are city centre and surrounding areas. Please let us know if you are an investor looking to build or add to your portfolio – we can offer specialist advice and an agents AND landlords perspective on where to buy. We can assist with the buying process and help you make the best choice for you. What is your student management service? •	Initial rental appraisal and Fire Risk Assessment. •	Registering deposits with the Deposit protection Service. •	Regular inspections to check on property condition and use. •	Dealing with council tax exemptions. •	Property registration with student accreditation bodies. •	Deposit negotiation on checkout. •	Management of maintenance issues. •	Detailed check out of property to enable effective deposit negotiation. •	Deposit negotiation and administration of disbursements. •	Assistance with completing HMO licensing. Details of our rates is available here. When do student tenancies start? Student tenancies almost always start on the 1st July each year. They run for a contracted period of twelve months, so end on the 30th June each year. Do I get 11 months rent or 12? You can expect eleven months rent over a twelve month period - from the 1st July to the 30th June, with half rent for July and August. Some properties will attract full rent over July and August depending on if tenants move in before the 1st September. Do you recommend including utility bills? 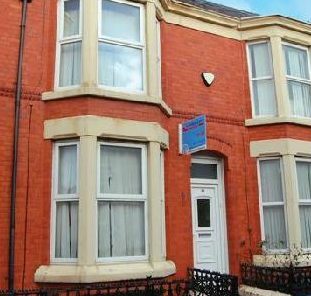 Virtually all student properties in Liverpool include utility bills. We recommend that you include bills with your properties, e.g., Gas, Electricity and Water. Including broadband with WIFI is now seen as a standard feature for student houses. We recommend you install broadband to any properties you rent out. We have partnered with Virgin and will refer any tenants to Virgin if the property is not including broadband, however we are happy to arrange a quote for broadband services on your behalf. Is there a cap on the usage of utilty services? We are aware of the cost to landlords for providing utility services within a tenancy agreement. We set a usage rate on a per-property basis, typically starting at £120 for a three bed house and increasing depending on house size. This amount is subject to change and is regularly reviewed by us. What happens if the tenants over-use the utility services? 1. We take meter readings on a regular basis. There will be a reading when tenants move in, mid term readings on a quarterly basis, and exit meter readings when tenants move out. We provide these meter readings to you via email shortly after the inspections are carried out. 2. If you notice an overspend, we will pass on your concerns to the tenants and ask them to ensure they do not use heating to excess and are heating the house correctly. We will help you monitor this until the end of the tenancy – if at the end they are still in an excess usage state we will assist you in claiming any overspend back against the tenants deposit. If the overspend is likely to exceed the deposit we can assist you in charging for the overspend. There will be a charge for collecting any overspend on your behalf at the mid-term point. Do you require guarantors for your tenants? All student tenants require guarantors. In cases where this is not possible (often overseas tenants do not have anyone who can stand as guarantor) we will accept a higher deposit and a larger sum of rent up front, to minimise risk. This is subject to your agreement and is assessed on a case by case basis. Providing a larger deposit as an alternative to providing a guarantor (in cases where a guarantor could be available) would not be acceptable. Some services are not provided as part of our tenant find service. These are listed below. If you would like to order these to be carried out please select them from the list below. Note: If you cannot view it, visit here to view all agreements. Please note that we will only manage properties where you are registered with the Non Registered Landlord Scheme. More information available here. Restrictive covenants or preferences (common is NO PETS for leasehold apartments or NO HOUSING BENEFIT TENANTS due to lending restrictions). Please note that if you are changing management to us and the property is licensed, your license MUST be in your name. It cannot be in the name of your previous manager. We recommend you submit a new license application in your name and forward us a copy of the receipt for application and in due course a copy of the license. We need this for the front page of the tenancy agreement if you require a let only service and will keep a record for any maintneance issues if managed. Your out of hours contractor, if you do not wish to use our contractor for this. Include any rate variation - we will require supporting email from for any agreed rate etc. These are not mandatory at this stage however we will require these. Note: Second property owners will need to complete this form as we need consent from all property owners. Please forward them a link to this page so they can complete the form. Thank you! I agree to be bound by the above agency agreement. Due to the differing levels of service depending on the profile of property we manage, we have separate agency agreements depending on the service being offered – tenant find within the residential letting market, fully managed within the residential market, and fully managed within the student market. Our terms of business change from time to time. When they do we will contact you giving 90 days notice of changes. Our terms will be updated on the website at the beginning of the 90 day period so you can view them. You will not need to sign our new terms of business on change of contract unless requested to do so by us. 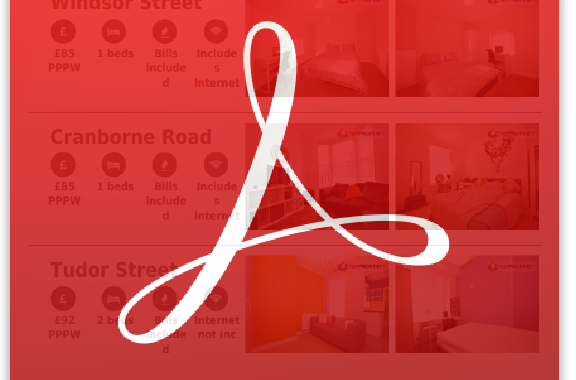 For new landlords you can sign the appropriate service agreement online. You can also upload the documents we require before marketing for legal compliance. Please note that due to the very high level of regulation, including university accreditation and selective/mandatory licensing that applies to the student HMO sector we do not offer a tenant find only service to new clients within the student market. You can quickly and easily sign our terms of business online and upload via documents via our secure page. Our fees are within our terms of business but they are broken down clearly here. All information is transmitted via secure means and only authorized users who have a specific need to access your documents have access. You will need a scanned copy of your guarantor deed. If you are unable to scan the guarantor deed you can open this web page on a mobile device (phone or tablet) and use the built in camera to take a photo of each page of the guarantor deed. If you cannot scan to a PDF you can take a photo. Using a mobile phone is perfect. This is for the FIRST PAGE of the guarantor deed with your name, the tenants names and the rent level and tenancy dates. If you cannot scan to a PDF you can take a photo. Using a mobile phone is perfect. This is the SECOND page of the guarantor deed, the page with the witness signatures on it. I the previously stated person agree to be bound by the terms of the uploaded Guarantee Deed. This is FULLY refunded when you sign the contract for next year. This secures the house for the new student year. We know you and have been through this before so the work we have to do to sign you up should be less - we pass this saving on to you with a 50% saving on the agency fee. Slight change to your group? If you have a change to your group (one or more people changing) you will need to pay a fresh deposit each. Your old deposit will be refunded at the end of your current tenancy. Once we have received all the apps we will send out contract paperwork and guarantor paperwork. Once you've signed, the house is yours for next year. Thanks for showing interest in renewal for next year. The key points for renewal are to the left – the link to the application form is here. Please make a note of how much you need to pay and use the online form. Please use the same lead tenant as you used when you first applied (it will keep things simple!). Good luck and thank you for renewing! There are currently issues sending emails from these forms to Gmail address. They often end up in spam. If you do send emails off to gmail addresses, please wait until the CC'd version appears in our applications inbox and forward it on the the person via the inbox. If sending the email to the landlord, put down applications@topproperty-services.com as the email address and also forward this to the landlord once it arrives. You will need to provide the basic details for the tenancy here as well as obtain all email addresses and names for the tenants moving in. We will need to capture all the tenants details. The tenant application form will be emailed to all tenants, with a customised version going to the lead tenant asking for payment. Note: We MUST send out the EPC certificate as well as the Gas Certificate BEFORE the start date of the tenancy. If the gas certificate is available at this stage of the application it must be sent with the heads of terms. If it becomes available after, you MUST ensure you send the gas certificate over once you have it, but BEFORE the start of the tenancy. We have received an application for your property. Details of the application are contained within the attached heads of terms which has been sent to all tenants. The tenant version also includes items we are required by law to give them prior to occupation, including the gas cert if available, the EPC, and a copy of the Renting in England leaflet. This outlines the terms of the agreement with the tenants. Our general contract tenancy terms are as per our model tenancy agreemen available here: https://topproperty-services.com/assets/SampleTenancyAgreement.pdf. If the tenants are not students they will be liable for council tax - the council may put this in your name as it is a shared house however this will be recoverable from the tenant as in all situations the tenant is liable for council tax. The exception to this is if you have agreed to pay the council tax (generally the case for professional house sharers). You will be notified once we are ready to sign contracts and then once the contract is signed. If for whatever reason the tenancy falls through (failed referencing, tenants withdraw their application) we will let you know. If you have any questions at this stage please do not hesitate to contact us. Yours sincerely, Topproperty Services Application Team. This is sent to the landlord as part of the Heads of Terms sending. Is this a tenant find (let only) service? Topproperty Services are looking for an individual looking to make a vibrant difference in our business. If you have been shortlisted for interview, please complete the form below. We have a selection of rooms available in high quality shared rooms. Please contact us to arrange to view. A deposit of £300 and an application fee of £80 inc VAT apply. Applications are subject to verification including referencing.